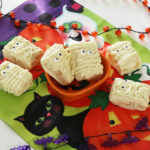 Easy Rice Krispie Treat Mummies - Halloween Party Treats! 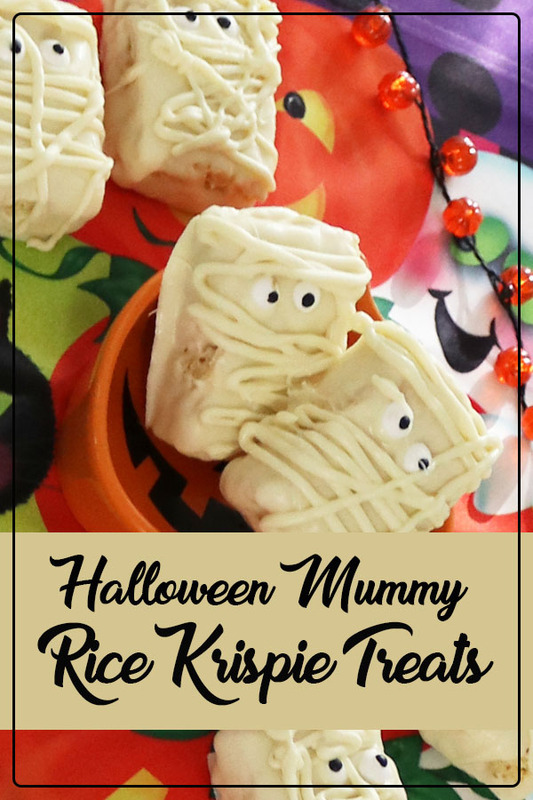 These rice krispie treat mummies are so easy and fun to make. They make the perfect Halloween treat for your next Halloween party! 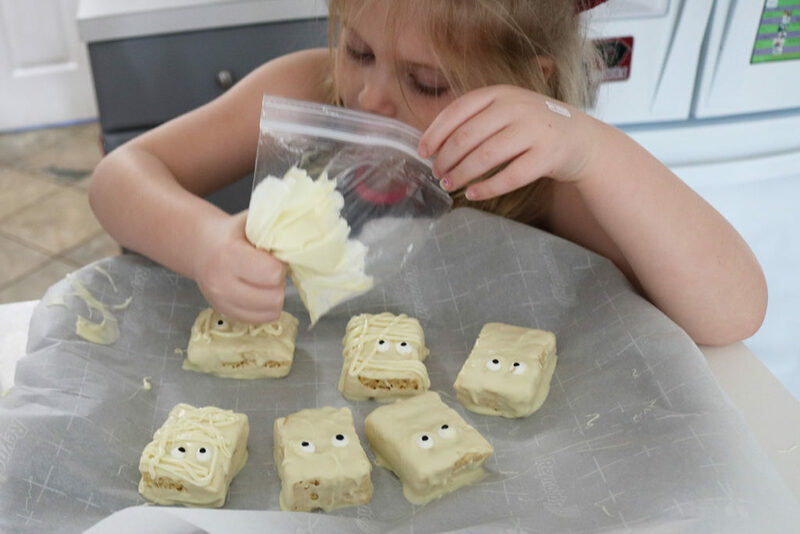 Abigail and her best friend made these rice krispie treat mummies after school the other week. They gave them a big thumbs up for both taste and festiveness! 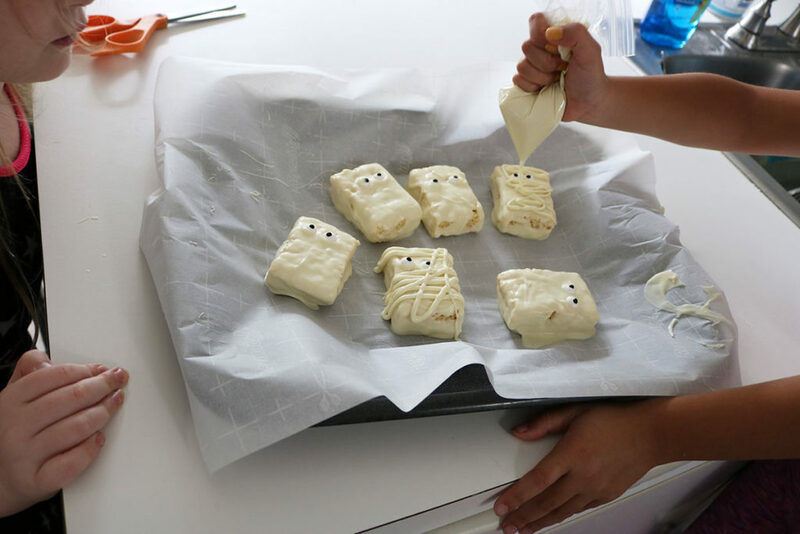 And insisted we needed to share them on the blog for everyone to make (and that we needed to make them again on Halloween). 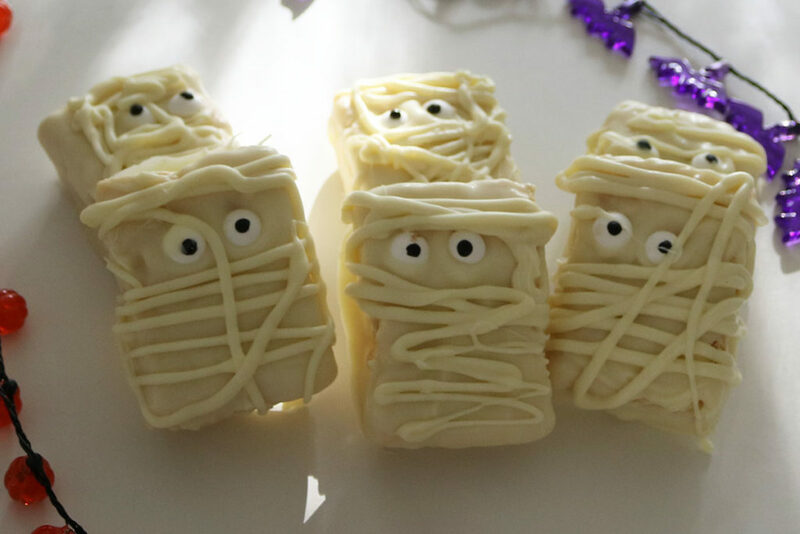 These rice krispie treat mummies are just adorable! 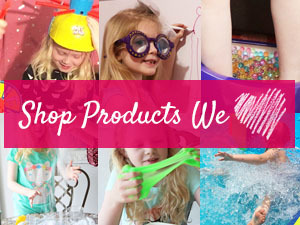 They only take 3 ingredients to make: rice krispie treats, candy eyes and white melting chocolates. You can go all over achiever and make your own rice krispie treats, but we just used the packaged ones. Which made this an activity that is easy enough for 6 year olds to do by themselves. Other than melting the chocolate, I set them free and let them dip and decorate and eat all on their own! I tried to jump in and help, but they wouldn’t let me. 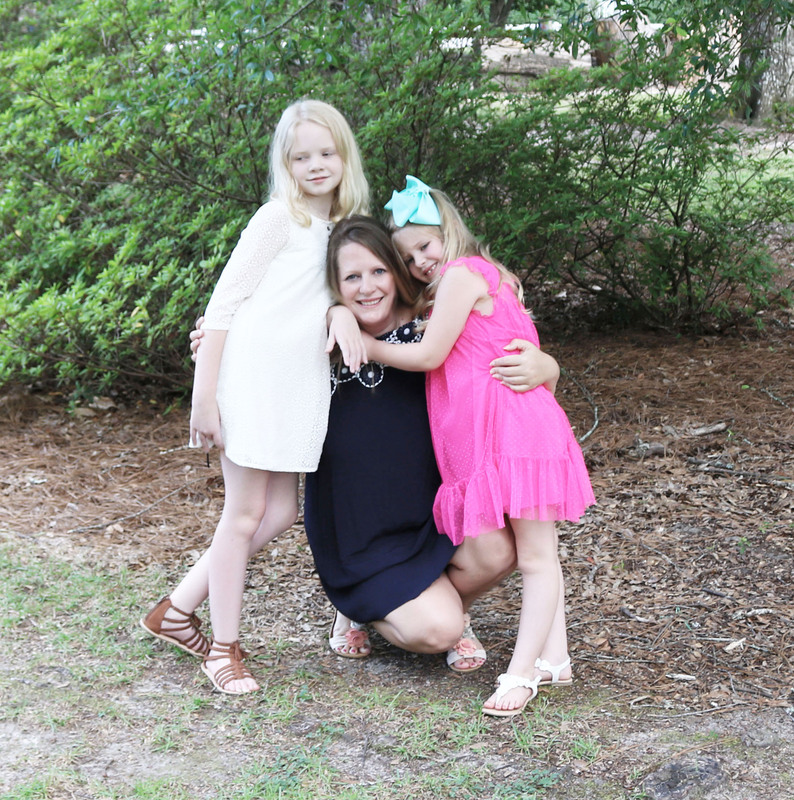 You know, make a few on my own for the perfect looking pictures. But they wanted to do them all on their own. So what you see here is the 6 year old version, versus all the perfectly done ones on Pinterest. 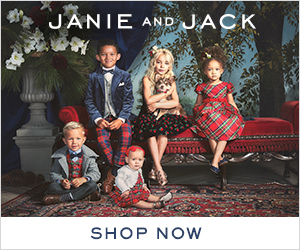 So if you are wondering how they will turn out if you set your kids free to do them for you, then this is how! 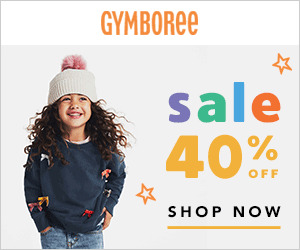 Still absolutely adorable and Halloween party worthy! 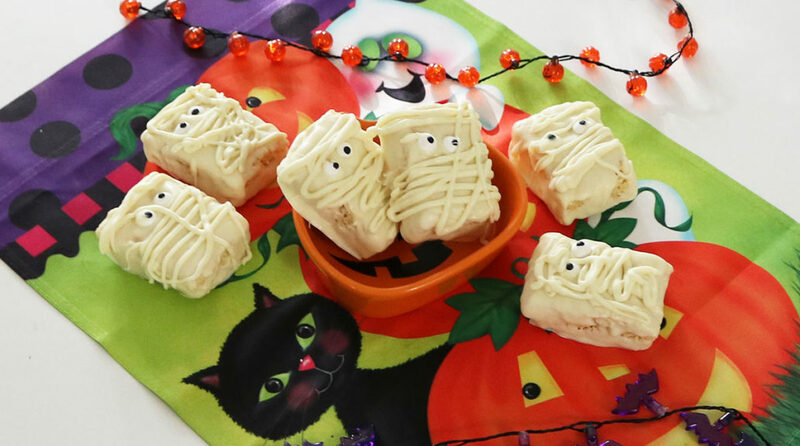 If you are looking for a cute Halloween snack to sneak in the lunchbox on Halloween, or something to bring to a Halloween party this year, these rice krispie treat mummies are perfect! 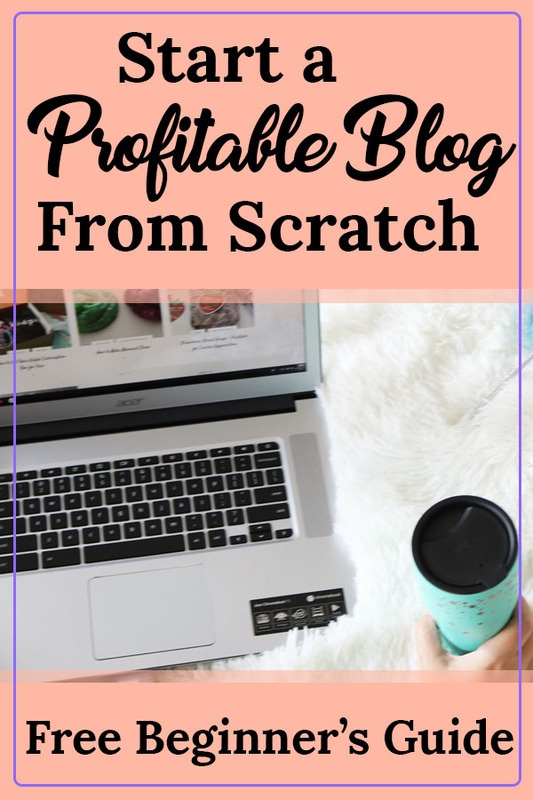 You can make them in less than 20 minutes as well! Unwrap rice krispie treats. Place white chocolate chips in a microwave-safe bowl and microwave on half power for 2 minutes. Stir and return to microwave for 20 seconds at a time (still on half power) stirring after each until chocolate is completely melted and smooth. Cover the rice krispie treats in the melted chocolate. Place on a baking sheet lined with parchment paper. Repeat process with remaining rice krispie treats. Place 2 candy eyes on each rice krispie treat. Transfer to the fridge for about 5 minutes for the chocolate to harden. While treats are cooling, spoon melted white chocolate into a small zip lock bag. Snip off a tiny bit of one bottom corner of the bag, then drizzle chocolate in a random pattern over the treats to create the look of mummy wrapping. Return treats to fridge for a couple minutes.